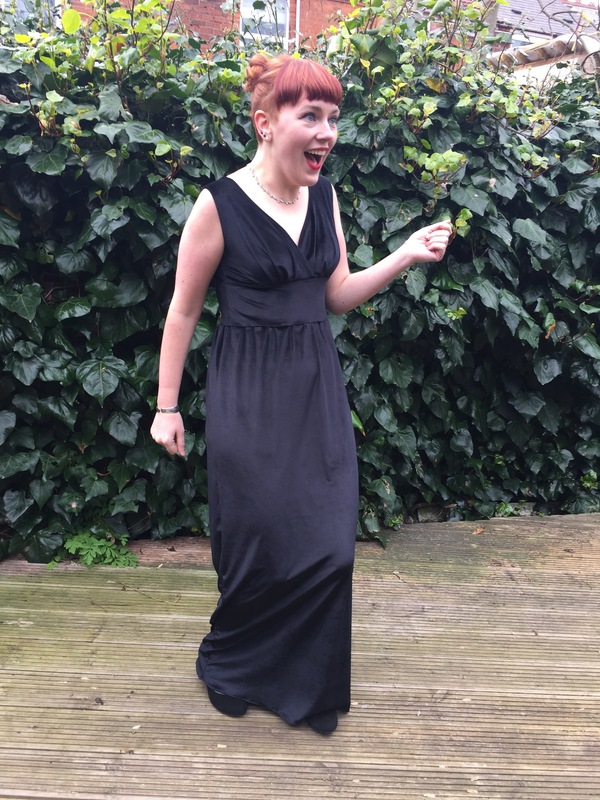 I shall (probably) go to the ball! | More blue fabric? A sleeveless full length dress with a cross front bodice and centre front yoke. 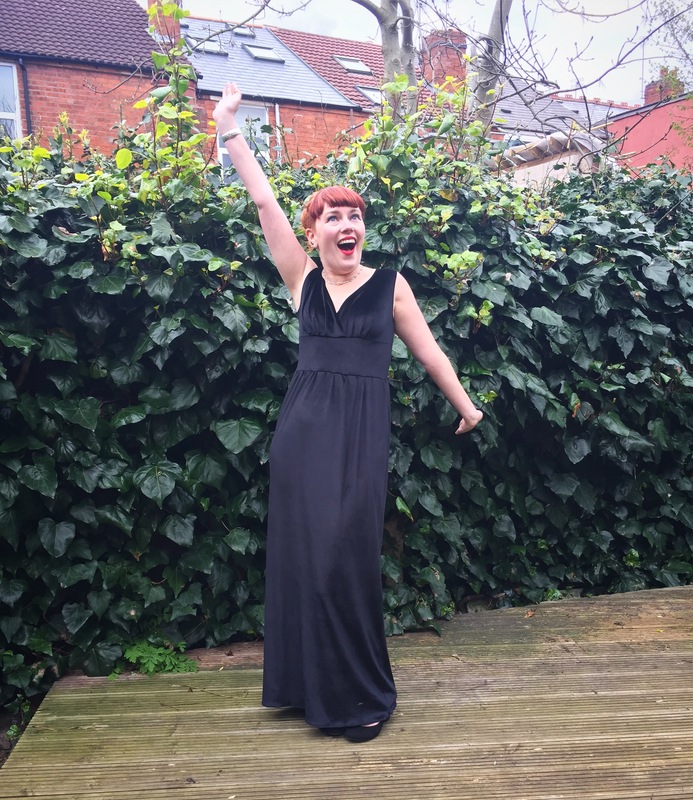 The Simple Sew Lucille dress with a hack to make it into a full length maxi dress and an additional hack to make it suitable for stretch fabrics (the original pattern is for wovens). 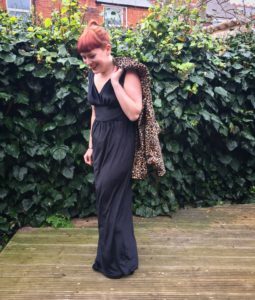 The fabric is the most silky smooth velvet that I found on Sew Essential’s website (and as a side note, they were super fast at getting it out to me!). Working with velvet was a challenge, but after reading some tutorials (including this super helpful one from the Colette blog) it was actually really easy. I made the pieces full width, cut through a single layer of fabric at a time and used tissue paper to stop the fabric slipping. 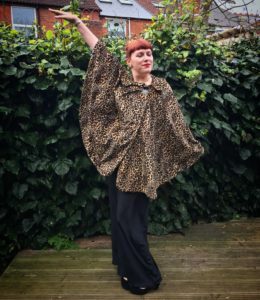 It worked really well and made me feel pretty triumphant that I’d had success with a fabric usually considered tricky. I was also pleased with the hack to make the pattern ready for wovens; it took hardly any effort but made for a much easier life (goodbye inserting a zip with velvet!). The main issue was definitely at the toile stage. 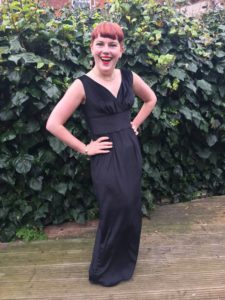 I had to do two toiles to get the bodice to fit and four toiles to draft a skirt that was full length, fitted across the waist and hips but not so tight I couldn’t move. It got pretty frustrating the more toiles I made, and, in the end, I went with a very simple gathered skirt, however I think the end effect was closest to what I wanted out of all of the options I tried. All in all, I’m pretty pleased with how the dress turned out, now I just need to get my ticket and get to the ball! 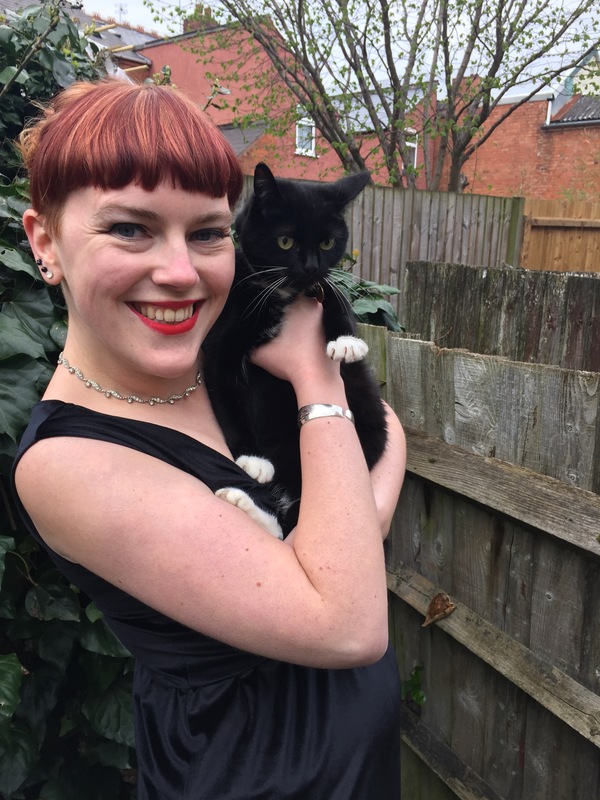 Pickle is party ready too in her black tuxedo! 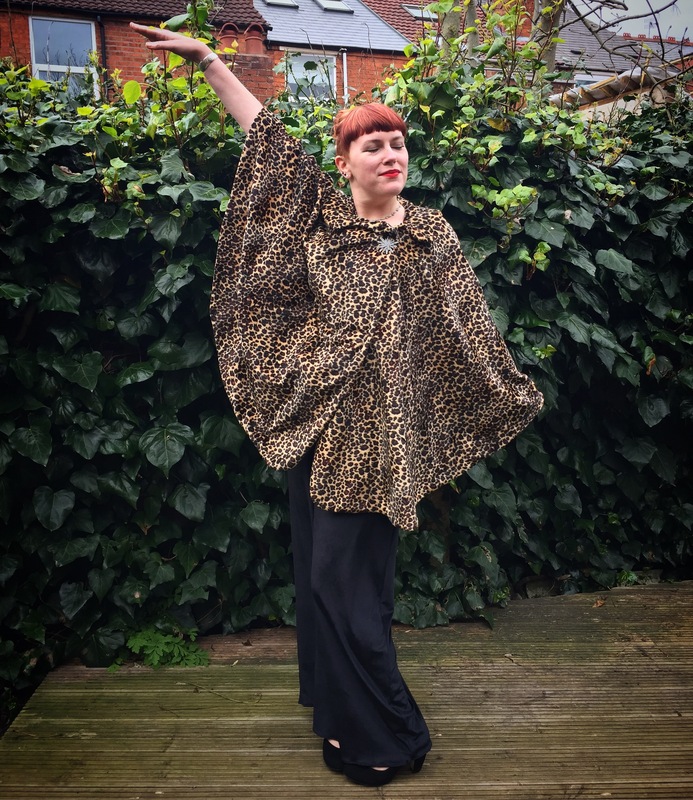 Disclaimer: whilst the Lucille pattern was provided by Simple Sew Patterns and the fabric generously provided by Sew Essentials, I received no form of payment for this blog post and the views expressed are my own. Pingback: Me Made May 2017 – week two roundup | More blue fabric?